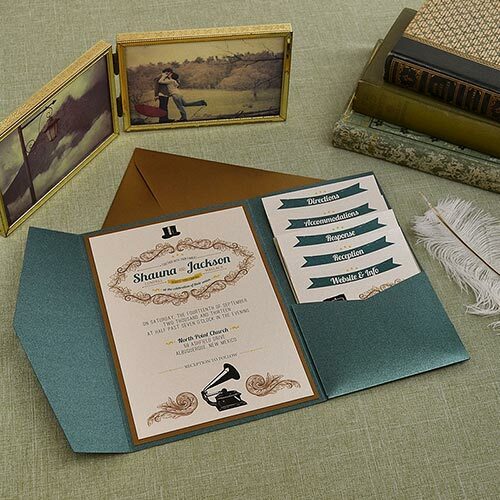 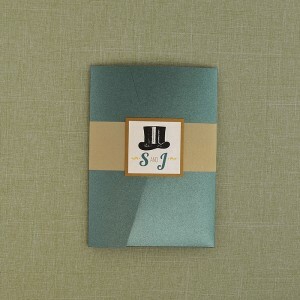 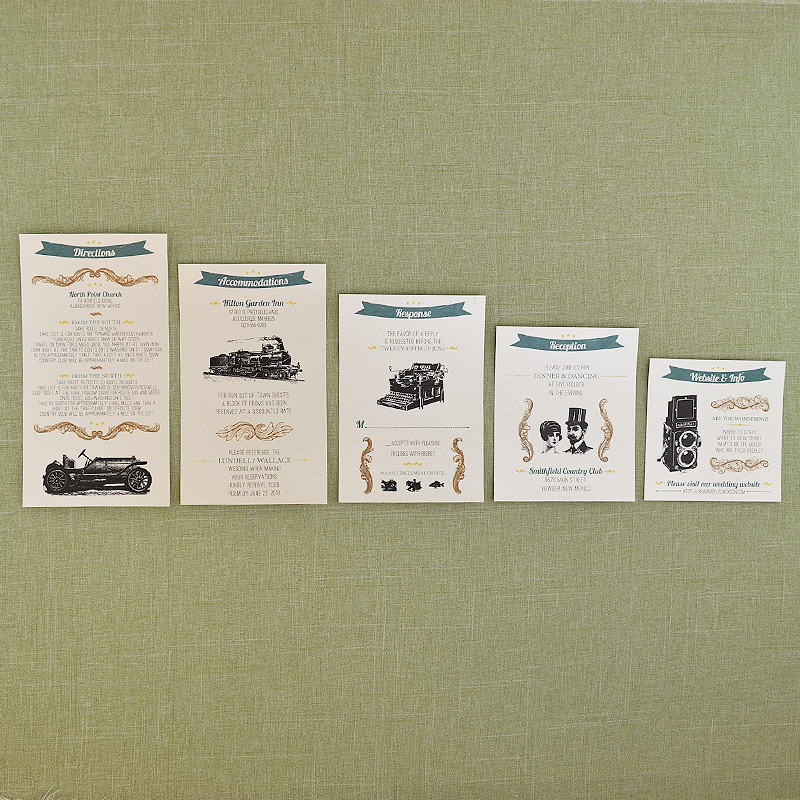 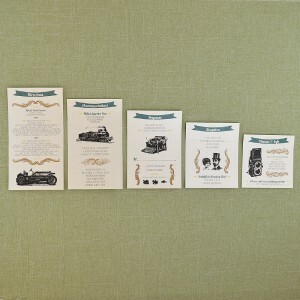 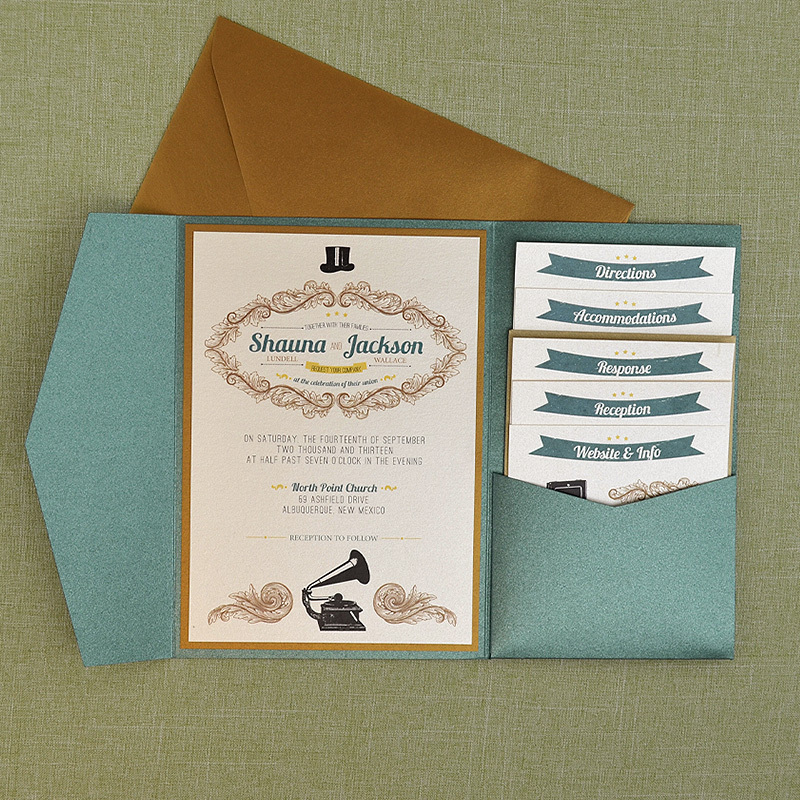 All the dolls and dapper fellas on your guest list will think you’re the bee’s knees when you send them our Vintage Jade and Antique Gold Pocket Invitation suite. This Pocket Invitation features Pantone’s color of the year, Jade, along with Antique Gold and Gold Leaf for the perfect vintage palette. 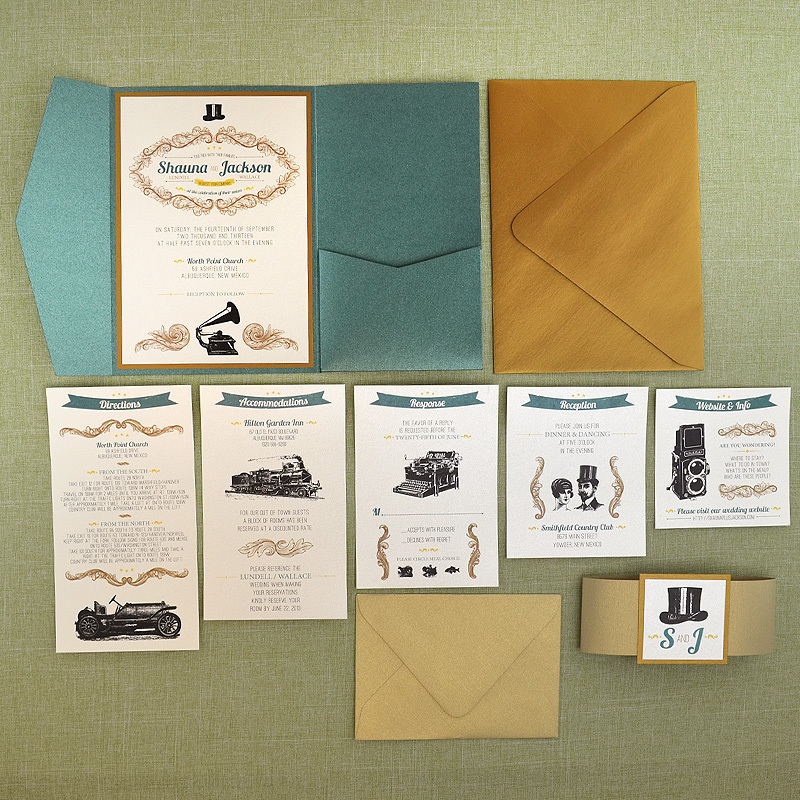 Adorned with top hats, Victrolas, Rolleiflex cameras, and other classic pre-war icons, we think this suite is the cat’s meow.